Pillowcase Dresses For Only $9.99! You are here: Home / Great Deals / Pillowcase Dresses For Only $9.99! These are so cute! 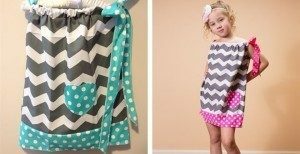 Perfect for the little girl in your life these Pillowcase Dresses For Only $9.99 at Jane are adorable! Grab one in every design and create a must see fashion statement on your little ones! Grab this and other great deals on Jane every day!